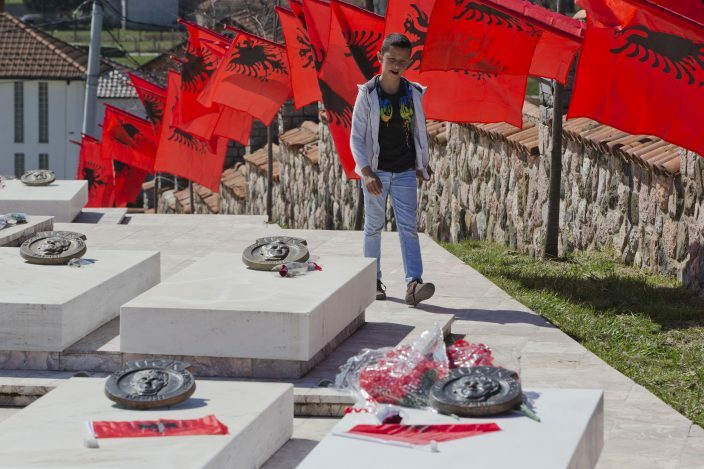 Twenty years after NATO intervened to stop Serbia's onslaught in Kosovo, Belgrade on Sunday commemorated the victims of what it says was an aggression while Kosovo hailed the beginning of its national liberation. "Yes, it was a crime!" Vucic said of the bombing campaign. "No one has been held responsible for these crimes. Serbian civilians, our children, were a permitted target of the NATO aggression." Anti-NATO sentiments remain high in Serbia even as the country seeks European Union entry. Vucic reiterated Serbia won't join the Western military alliance. Earlier on Sunday, Serbian far-right supporters burned NATO and EU flags in Belgrade, condemning the 78-day bombing that ended the country's rule over the territory many here view as their nation's historic heartland. Rights groups say several hundred people died in the NATO bombing, while Serbia says the number of victims was much higher. The bombing also destroyed much of Serbia's infrastructure. 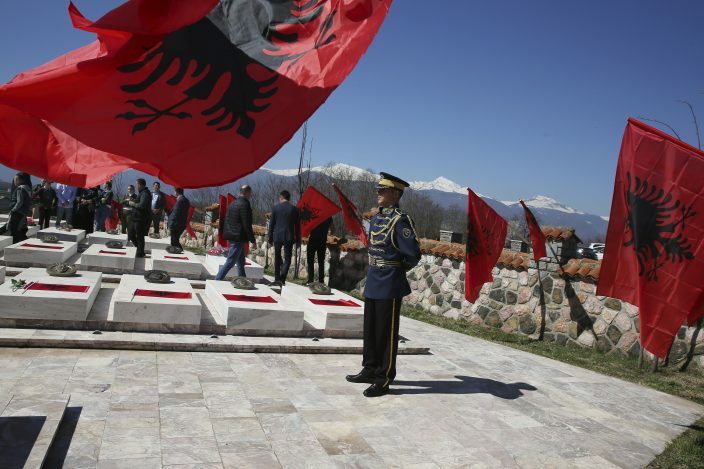 In Kosovo, leaders said NATO's air war brought freedom for their people as they paid their respects to the victims of the 1998-99 war that killed more than 10,000 people. 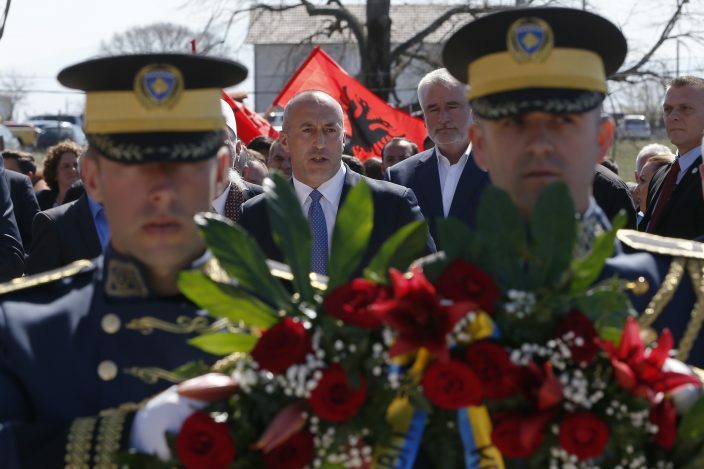 "It is wonderful that Kosovo's people are free and children can grow up at their home and can go to their schools and that's only thanks to NATO air campaign," Prime Minister Ramush Haradinaj told The Associated Press. 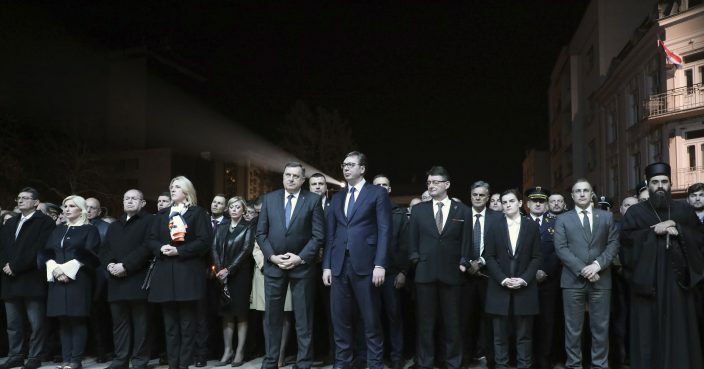 Several Western embassies in Belgrade on Sunday issued a joint statement of condolence for the victims of the bombing, pledging to "work even harder to contribute to lasting peace and stability to the region." "We remember March 24 as the day diplomacy failed, and we express our sincere regret for the loss of civilian lives during the events of 1999," said the statement. "We are saddened for all of those who lost their loved ones during the wars of the 1990s."